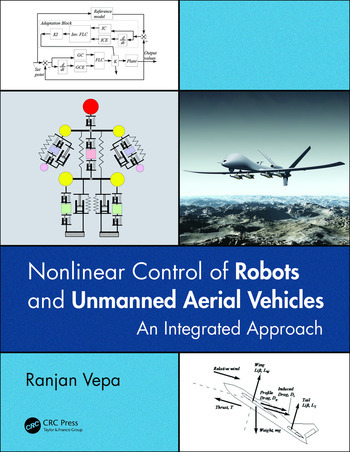 Nonlinear Control of Robots and Unmanned Aerial Vehicles: An Integrated Approach presents control and regulation methods that rely upon feedback linearization techniques. 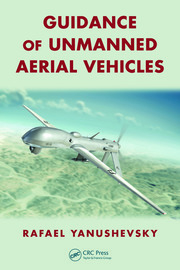 Both robot manipulators and UAVs employ operating regimes with large magnitudes of state and control variables, making such an approach vital for their control systems design. 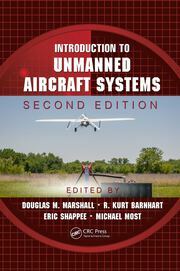 Numerous application examples are included to facilitate the art of nonlinear control system design, for both robotic systems and UAVs, in a single unified framework. MATLAB® and Simulink® are integrated to demonstrate the importance of computational methods and systems simulation in this process. 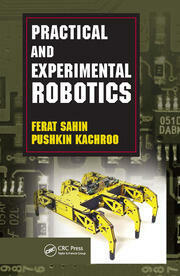 Dr. Ranjan Vepa earned his PhD in applied mechanics from Stanford University, California. He currently serves as a lecturer in the School of Engineering and Material Science, Queen Mary University of London, where he has also been the programme director of the Avionics Programme since 2001.. Dr. Vepa is a member of the Royal Aeronautical Society, London; the Institution of Electrical and Electronic Engineers (IEEE), New York; a fellow of the Higher Education Academy; a member of the Royal Institute of Navigation, London; and a chartered engineer.